Wycliffe is a wealth of information for you and your students! Consider bringing in Wycliffe to work with your high school or university jazz bands for a day, a week or a full month! His expansive knowledge and experience as an educator and performer will not only have your students wanting to be better musicians–they WILL be better by the time he leaves! JAMES MORRISON ACADEMY, MT. GAMBIER AUSTRALIA. –August 2016. Wycliffe was visiting instructor working with students in jazz studies, giving masterclasses, coaching, private lessons and performances. COLUMBIA COLLEGE, CHICAGO, IL. –Wycliffe returns each year for a week-long residency with Columbia College working with the Columbia College Jazz Ensemble, Fusion Ensemble and ChicagoVox. The week is usually topped off with four nights of shows at the Jazz Showcase, playing to enthusiastic audiences each night. GEORGIA REGENTS UNIVERSITY, AUGUSTA GA. Fall 2014–2017. Wycliffe is the Artist-in-Residence in Jazz Studies. Students attending GRU are able to have lessons, masterclasses and coaching with Wycliffe for six weeks each semester. To learn more about attending GRU as music major please click here. PRINCE CLAUS CONSERVATORY, GRONINGEN THE NETHERLANDS. DEC 8-12, 2014 & JUNE 15-19, 2015. Wycliffe joined the faculty for two weeks of clinics and workshops. POPS IS TOPS–July 2014. 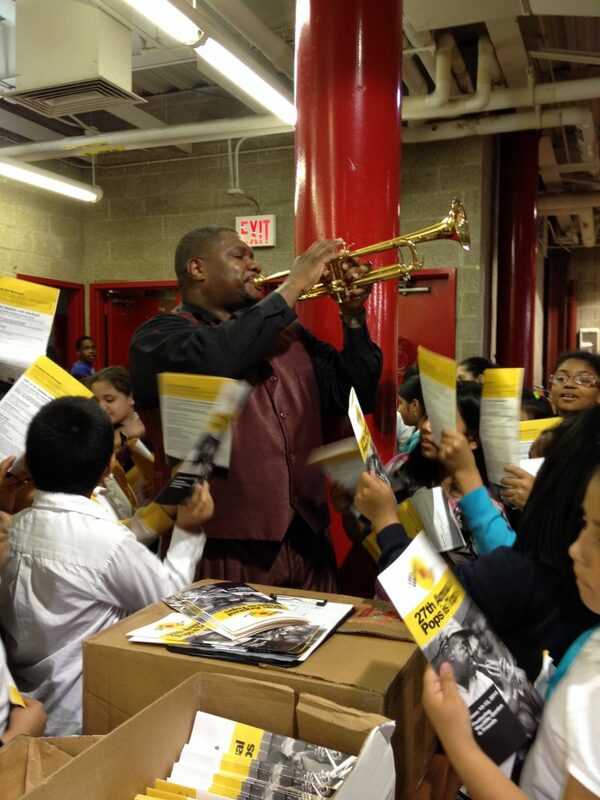 Wycliffe completed a three day residency at the Louis Armstrong House and Museum in Corona, NY. “Wycliffe & Friends” performed six concerts for neighborhood school children of all ages.